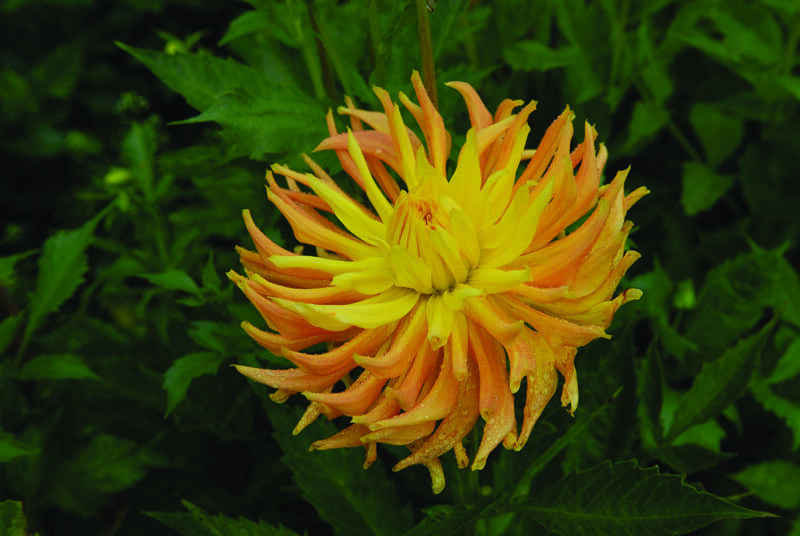 The bright yellow centre of this dahlia goes over into a delicate orange on the outer petals. Cactus star type. 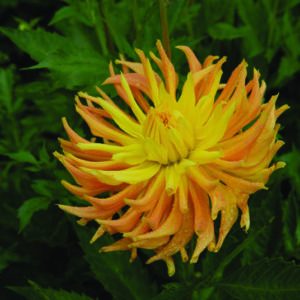 Bloom size approximetly 14cm. The plant grows to 1.2m.